Turning the Tide 2018 – Register Today! First Treasure Coast Pagan Pride a Success! Update on Kyrja Withers – She Did It! Send a donation safely and securely via PayPal. Donations fuel our philanthropic endeavors across Florida. The next EMLC board meeting with its membership will be before Turning the Tide via Zoom. We will schedule the next in-person meeting after Tides. Location announced on the EMLC list and on our Facebook events page. Keep an eye out if you want to join us! If you have items for the agenda, please let our First Officer Kasha know. Directions and start times for the next meeting will be posted to the e-List, and call-in numbers/Zoom information will be available if needed. 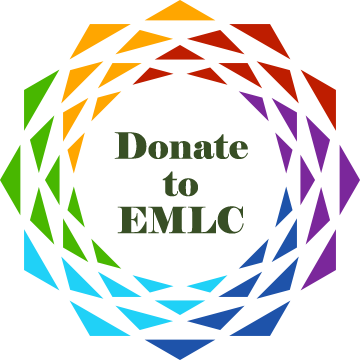 Are you interested in joining EMLC? We'd love to meet you! If we've got a meeting coming up that you can attend, let us know and we can provide you details about that meeting. Is there an event coming up where EMLC'ers will be, such as a Pagan Pride Day or our annual Turning the Tide celebration? Stop on by and chat with us! Whether we're at FPG, Pantheacon, or any other festival, we're always excited to meet potential new members. For full details about membership requirements, please visit our membership information page. Can't wait to meet you! Looking for FL Witchy Events? We've got your calendar of some of the best, witchy and witch-friendly events in Florida! Click the ticket above or just follow this link. Know of an event that's not on our list? Head over to our Facebook page and send us the link! News from Lakeland makes The Wild Hunt. A mural was considered “satanic” by at least one member of the community, and removed. Meanwhile, others..